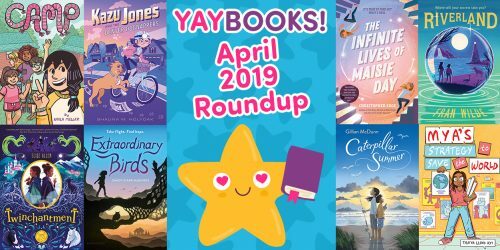 The Secret of Goldenrod | YAYOMG! 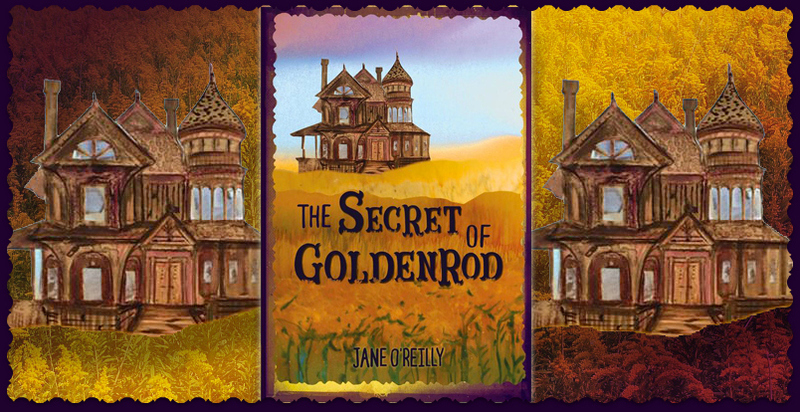 Over the Summer, we had the pleasure of reading an advanced copy of “The Secret of Goldenrod” by Jane O’Reilly, and we’re so excited that it’s book birthday is finally here so we gush about this special little book to all of our readers. It’s a little bit mysterious, a little bit whimsical, and a whole lot of charming, making it the perfect book to curl up with on a rainy Fall evening. 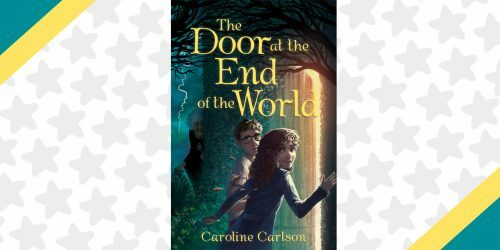 While it definitely has mysterious and sometimes spooky elements, “The Secret of Goldenrod”, we definitely wouldn’t consider this a “scary” book. It’s so beautifully written that it reads more like a fairytale and the occasional creak in the floorboard will seem like nothing when each page has you captivated and intrigued to unravel the mystery of Goldenrod for yourself. Trina’s father is an expert carpenter who travels across the country working from project to project, meaning they don’t stay in one place very long. 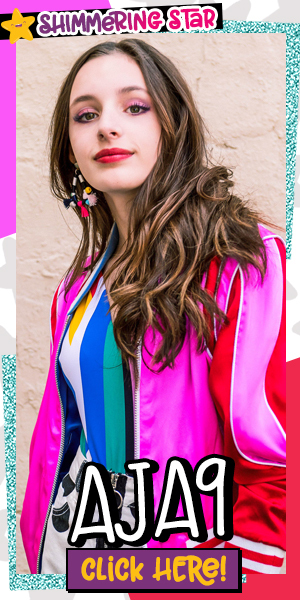 This means Trina is constantly having to switch schools, making it hard to put down roots and make lasting friendships. She adores her father and admires his hard working attitude, and is overall pretty satisfied with the life they’ve managed to scrape together after Trina’s mother walked out on them 8 years ago. That is, until they get to Goldenrod, their biggest job yet. 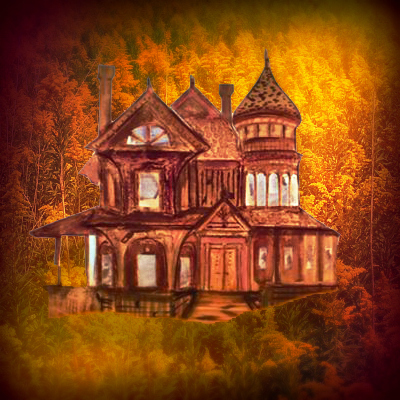 The once enchanting Victorian mansion that was the Goldenrod estate is basically in shambles, in need of a full renovation, meaning that Trina and her father will need to live there for a full year – the longest they’ve ever lived anywhere. As Trina begins to explore the house and settle in, she discovers that it doesn’t feel quite right – not only is it falling apart and occasionally making creepy sounds, but the house seems to be “alive” and Trina gets the sense that the house is trying to tell her something. Being an expert in his field, Trina’s father finds a way to explain all the unusual happenings in the house. 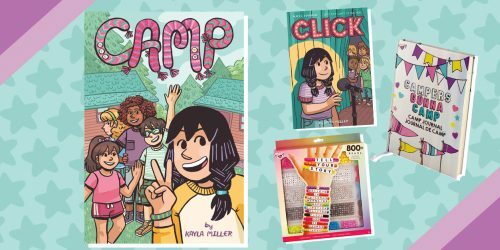 Living in a house like this won’t be easy, so Trina is really excited to get out and explore the town and get to school so she can have a distraction from the peculiar things happening in her house. Unfortunately, Trina’s first day at school doesn’t really go as well as she hoped, and the more time she spends talking to the people of New Royal, she discovers that her haunted house theory might just be true. One day, Trina discovers a beautiful old dollhouse in the attic that belonged to the little girl who lived there 100 years ago, complete with a lovely porcelain doll. She decides to take on renovating the old dollhouse as a way to pass the time, fixing it’s broken parts, replacing dusty curtains with fresh ones, and bringing the little house back to it’s original beauty. What she didn’t count on was that the porcelain doll, Augustine, would come to life. Having made no friends in New Royal, Trina begins to spend more and more time with Augustine and they become very close, helping each other through their struggles and helping Trina understand what life at Goldenrod was like 100 years ago before everyone believed it was cursed. Augustine’s fairy-tale perfect view of the world helps Trina see things through a different light and Trina shows Augustine that life isn’t always happily ever after which she realizes is actually totally okay. Trina is such a fantastic character. She’s strong and tough and doesn’t mind getting her hands dirty, yet she’s emotional and kind of a mess sometimes. She’s struggling hard with wanting to cling to her childhood while also desperately wanting to grow up, something we all go through at one point or another. Her mother walking out and her dad being a bit absent-minded has really affected her, yet she always manages to find the strength to face the day and not give up, even when the entire town of New Royal think she’s crazy for trying to convince them that the legend of Goldenrod is much more than it seems. Trina learns that it’s the hard stuff in life that really helps you grow and shapes you into who you are and who you’re meant to be. 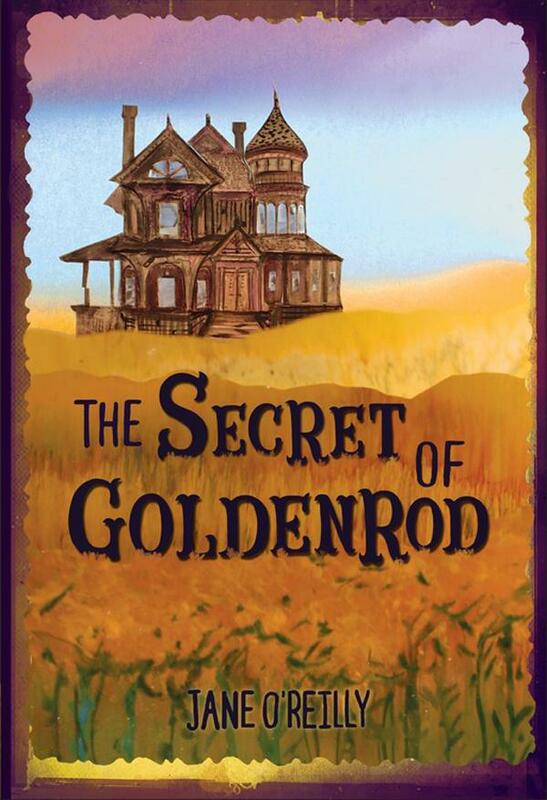 “The Secret of Goldenrod” hits shelves tomorrow (October 1st), so we suggest being first in line at your favorite bookstore so you can spend the entire weekend reading!